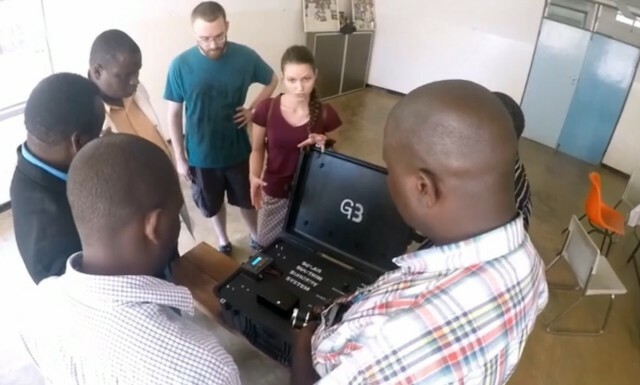 A group of engineering masters’ students from Grand Valley State University in Michigan have designed blackout-proof solar devices that can continuously provide electric power to a rural hospital in Malawi, Africa. 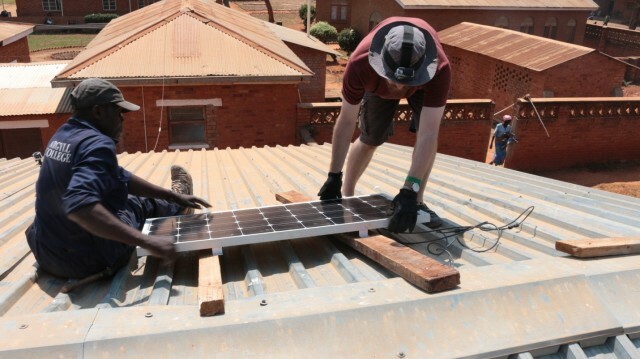 Using the concepts they learned in the course called “Hideout Photovoltaic Systems,” these engineering students took up a project focused on designing an emergency photovoltaic backup system for Embangweni Mission Hospital in a village in Northern Malawi, where the residents experience at least six hours without electricity each day. This project will give the hospital the capability to save more lives. The student team spent a week at the hospital and its clinics, installing the 100W solar panels and other components of their device, which is called the Solar Suction Surgery System, or “S4”. During this period, they also trained the hospital staff to use and maintain the S4s. This device harvests solar energy to its 110 Ah Lead Acid AGM battery, whose supply can be used for five electrical loads, including two lights (provided with the system), two consumer electronics chargers (for phones or tablets) and one for a portable suction machine. Not only can this device be charged through the provided solar panel, but also through an AC wall outlet of 220V-50 Hz. It is estimated that for a normal use of charging two tablets for three hours a day, and using the two LED lights for 12 hours a day, the device can provide an autonomous backup of up to 48 hours. With little to no electricity in the region where the hospitals require electricity for operations, deliveries, sterilizations and other medical procedures, this device offers significant benefits in the area. This project was solicited from engineering professor Heidi Jiao by an American physician, Dr. Martha Sommers, who has been practicing medicine in the poor nations of Africa since 1997. She would often see dying patients, suffering from cerebral malaria who would struggle to get an IV due to lack of electrical power where the hospital staff would be forced to work in the dark, relying on flashlights. This was a frequent problem while performing emergency surgeries, like C-sections. "When the power went out, we relied on a flashlight and we no longer had the ability to use a suction tool to clear fluid from wounds," Sommers said. "This happened many times when we were working to save a mother and her child. Many times the patient died." Graduate electrical and computer engineering students Sofia Fanourakis and Patrick McCarthy led the S4 project team, and found it amazing to see how the fascinating theory they learned in class can have a massive impact on the big picture at a global scale. Another student on the team mentioned that knowing he was able to provide a solution for frequent blackouts in one of the poorest countries in Africa enhanced his passion towards finding ways to apply theory to direct practical applications. The GVSU team have installed three fully functioning S4 units since August 2016, and the hospital employees look forward to inviting more faculty and students from Grand Valley State University to perform research and invest in solar energy projects in Embangweni. For more information, visit the Teaching Through Technology website at the Grand Valley State University.